For General Category: 50% marks in aggregate and 55% in History. For SC/ST/OBC-A/OBC-B Category:40% Marks in Aggregate or 40% Marks in History. For Physically Challenged and For Outstanding Sports Person:50% marks in aggregate and 45% marks in Subject. Sukhendu Sarkar from Economics department-“The Great Depression of 1929” on 1st, September 2015 . Bijoy Singha of Bengali department- “Bhaktibad Sri Chaitanya and Bengali Literature” scheduled in December 2015. 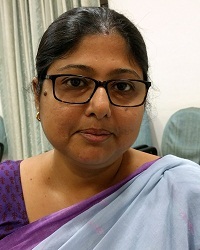 Deepa Ghosh of Economics dept., East Calcutta Girls College- “Economy in Colonial India” scheduled in December 2015.